Zombies that were improperly arrested four years ago have gotten their just desserts in a recent court case settlement. 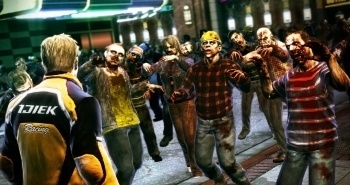 Back in 2006, a group of zombies were arrested for protesting on a street in Minneapolis, and subsequently jailed for two days. Then they were shot in the head to rid the world of their blight. The zombies filed a lawsuit against the city for what they believed was illegal and unjust treatment by police, and have succeeded at bringing in a hefty settlement. Okay, they weren't actually shot in the head, and they weren't actually zombies, but human beings dressed up as zombies, face-paint and all, to protest "mindless consumerism." They were never charged with a crime, but were accused of using an iPod and music equipment as a "weapon of mass destruction" and just generally treated like they were something less than human, something undead even, by Minneapolis police. The group called their time in jail "traumatizing" due to police scaring them with the inflated charge, amongst other mistreatment. After a court first threw out the zombies' lawsuit which demanded $50,000 for each shambler, a successful appeal lifted it to a higher court. Rather than deal with the court system, the city of Minneapolis decided to settle with the zombies for a lump sum of $165,000. Not bad for a few days' work of shambling and groaning, despite the jail time. "I feel great that the city is being held accountable for the actions of their police," said Raphi Rechitsky, one of the zombies who relates the group's acts to that of a street performance. He says he and the others were trying to show society that it "buys and relies on new products as a replacement for real interaction." I'm sure that the $165,000 won't be used for any of that, now will it?